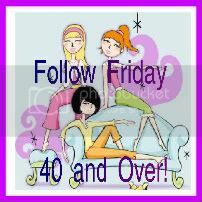 Welcome to the 52nd edition of the Follow Friday 40 and Over!! Can you believe it took me 52 weeks to find this midlife blog hop??? Before deciding to become a part of this blogging event I did some investigating of the midlife blogs. Never Growing Old – Java is the Follow Friday 40 blog hop creator. She blogs about her struggle to comprehend not being 20 anymore and her hard times dealing with the “age” thing! Creative, witty, and fun midlife reads! The Frump Factor – Anne blogs about her reflections on style, beauty, & fighting frump over 40. A very humorous approach to midlife! A Glimpse into Midlife – Betty is a lifestyle blogger from Paraguay who shares her midlife experiences. It’s Just Life – Beth Ann writes about finding the extraordinary in the ordinary. Aww, thanks so much for the mention! I am touched. Your blog looks great — I’m looking forward to reading more. As for it taking you 52 weeks — well, better late than never! The blog hop world can be overwhelming, but I think this is a really nice one. Thanks for stopping by Anne. I plan on continuing with the over 40 blog hop and visiting with you as well! Stopping by from the blog hop. I’m a fellow “over-40” blogger. I love your blog, especially the clean layout. I’m looking forward to reading more. I will be your newest follower and am looking forward to getting to know you better. We “over 40” must hold together. I’m so glad to find your blog especially for those of us over 40. Can’t wait to read more.